It’s difficult to imagine a more perfect example of the moral bankruptcy of professional homebirth advocates than their rush to “support” killer midwives. In the wake of the preventable death of their son Magnus, Sarah and Jarad Snyder are suing The Greenhouse Birth Center. 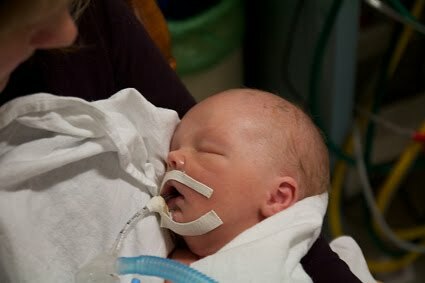 You can read the story of Magnus’ birth and death at Hurt by Homebirth, and you can read about the lawsuit here. As is inevitable in the aftermath of any death at the hands of homebirth midwives, no matter how egregious the malpractice, a Facebook group has been set up to support … no, not the parents who lost a precious infant … but the midwives responsible for the loss. Could you describe the role of a midwife in your own words, specifically during labor/birth? How would you define the word “ethical”? Do you believe that all doctors are ethical? Teachers? Religious Leaders?…Do you believe all midwives are ethical? Do you believe midwives ever make mistakes? What do you believe should happen when a midwife makes a mistake?…one that… costs someone his or her life? What do you believe should happen when a doctor makes a mistake?…one that costs someone his or her life? Do you believe that lying to cover up mistakes is ever appropriate? What should happen when a midwife operates outside her scope of practice and purposefully takes on “high risk” birth without informing the parents she is doing so? Why are families who share their less than perfect experiences demonized instead of helped, or God forbid, listened to in an effort to improve practice? Do you know ANYTHING about the details of my labor and delivery? The care we did and did not receive? Have we ever corresponded? Do you have any understanding at all of the confidence and trust we had in our midwives as competent caregivers before this preventable tragedy took place? How would you define the word “betrayal”? That’s what our midwives gave to us and that is what you too are doing in supporting them blindly. I am so disappointed, that you wouldn’t better know whom you are supporting and demand better as the leadership in this movement. The biggest regret of my life is ever having trusted a midwife with the well being of my child. How foolish am I to have thought you stood for something more honorable. How dare you reflexively support homebirth midwives without making any attempt to determine whether they are culpable for Magnus Snyder’s death? I’d be happy to give her a forum on this blog to explain why anyone should take seriously those professional homebirth advocates who are so cynical and morally bankrupt that they think supporting negligent homebirth midwives is more important than whether babies live or die. and, of course, serial killer midwife Lisa Barrett. I’m happy to extend my offer to them as well. How about it, ladies? Please explain to us why anyone should believe that professional homebirth advocates have any commitment to the safety and health of babies when you are so quick to support those who let babies die preventable deaths. This is an object lesson in why the CPM should be abolished and why homebirth midwives should not be licensed. It makes no difference to them whether a baby lives or dies as long as their income stream is protected.